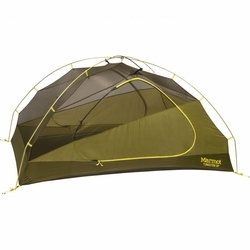 Marmot Tungsten 2P Tent. Truly a backpacker's tent: the Tungsten blends durability, roominess and intuitive livable designs to create a tent that will log mile after mile with you. Dual doors allow easy entry and exit with vestibule storage space around both doors. Footprint included.